Shalom. Our message and teaching this morning is from GENESIS 22.15-17. Genesis 22.17 And your seed, your descendants, Abraham, shall possess the gate of his enemies. These words have intrigued me. They have interested me and aroused my curiosity. So, this morning our study will be on the end times and the 1,000 year millennium and the days that lead up to the time Messiah will appoint Abraham’s descendants to possess the gate of his enemies. What we are reading in these words, “and your seed shall possess the gates of his enemies,” is this. During the 1,000 year millennium, people from GOD’s family, descendants of Abraham, will be the leaders under Messiah Who will rule over the nations of the world. And those leaders will be, as Yeshua says in John 3.16, those who believe in GOD’s only begotten Son, Yeshua The Messiah, and as Paul writes in Romans 3.31; and the writer of Psalm 119.1, those who have established the Law of Moses in their lives, and walk in The Law of The LORD. Those will be the leaders of the nations during the Messianic era, the 1,000 year millennium. Back to Genesis 22.17 SEED – ZEHRAH – descendants, i.e. every human being who descends from Abraham. And since GOD told Abraham in Genesis 21.12, “for in Isaac shall your seed be called,” Abraham’s seed are all those descendants who descend from Abraham and Isaac, the Jewish people. And since at that time some 4,000 years ago, there were no Christians or Moslems or any other modern-day religion, a non-Jewish person CAN be a descendant of Abraham according to GOD’s formula Paul teaches in Galatians 3.7. FAITH – belief in GOD and Messiah. Then you become the children of Abraham, fully part of GOD’s Chosen People and descendants of Abraham. INHERIT – possession and ownership. ENEMIES – Ohyvayve – the enemies of the Jewish People, those that hate them. The descendants of Abraham and those non-Jewish people who are of faith, faith according to GOD’s teaching, not man’s teaching, will inherit and possess all the nations who are the enemies of Israel and the Jewish People. And they will inherit The Kingdom of Heaven. Today, the entire world as a majority, not as a whole, do not pray for the peace of Jerusalem, but rather seek to divide the land of Israel that GOD has given to the Jewish people for an everlasting possession. That is an enemy to the descendants of Abraham. ZECHARIAH 14.9 KING – Mehlekh – a king reigns and rules. This will be the end of all religions except for a Judaism that will become GODly and holy, Believers in Messiah. Messiah will be King over all the world, over all the nations, and He will appoint His people to rule those countries, those who have followed Him and lived their lives according to The Law of Moses. His dominion is AN EMPIRE, He has absolute rule and authority, and His empire will be THE ENTIRE WORLD. KINGDOM – MALKHOO (ARAMAIC) Rule, kingship and reign, i.e. rule as king. SERVE HIM – PEHLAKH (ARAMAIC) serve Him, minister to Him, obey Him. Messiah will rule the world and Abraham’s descendants will rule for Him. EZEKIEL 37.21-25 – David will be King in Israel under Messiah. A SMALL ONE – STAHEER – one who today is least on the earth. ISAIAH 60.10-12, 15 The nation that will not serve You will perish. GOD’S peple will rule the nations during the 1,000 year Millennium and Messiah will be King over all the earth. 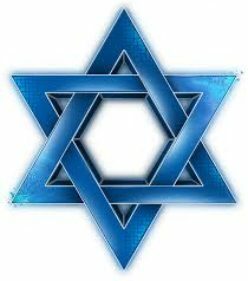 INHERIT – YAHRAHSH – inherit, possess, and by GOD’s Law have ownership of the land of Israel forever. Throughout The Bible, GOD covenants with the Jewish people that they will inherit and possess the land of Israel forever. Thus rendering replacement theology, or church-kingdom theory or the spiritual Israel theory where the church replaces Israel, the church receiving all the blessings and Israel all the curses is 100% false and untrue. ROMANS 11.1-2 FOREKNEW – knew beforehand. Before the creation. Sometime in eternity. GOD chose the Jewish people far back in eternity before the creation. So, back to the end times and The Millennium. ISAIAH 11.11 RECOVER THE REMNANT – deliver and redeem His people out of captivity. REMNANT – those Jewish people living outside Israel. 1. The first ingathering or deliverance of all the people of Israel was the Exodus from Egypt into The Promised Land. 2. The second and final gathering of the Jewish people will be from all the nations of the world where The LORD GOD will bring them into the land of Israel at the start of The Millennium. The Bible does not predict a third gathering of the people. ISAIAH 66.19-22 The Gentiles will help in bringing the Jewish people to Israel. DEUTERONOMY 30.1-5 VERSE 2 – At that time the Jewish people will return to The LORD and obey Him. VERSE 3 – Then The LORD GOD Messiah will return and gather His people from the nations and bring them into The Land of Israel and The Millennium. ZECHARIAH 13.8-9 Not all the Jewish people will be saved. The number whom GOD will save is not for us to know. ZECHARIAH 12.10 This will be the time of their Salvation. When will all this start to happen? The reign of Messiah, the gathering of the people, the 1,000 year Millennium? 1. MATTHEW 24.14 – The Gospel is The Word of GOD, The Good News of Yeshua, and our obligation to obey GOD and His Law of Moses. The Gospel of God is not being preached today. 2. DANIEL 11.39-45 AND DANIEL 12.1 – When the anti-Christ will divide the land of Israel as is being forced upon Israel today by the all the world. STRONGHOLDS – strong fortresses, his places of defense. GLORY – glory and honor will be given him by most people. They will relate to him and love him because like them he dishonors GOD by disobeying Him and because of his powerful hatred toward Israel and the Jewish people. Note the rampant anti-Semitism today. He will divide the land which GOD gave to the Jewish people forever. OVERFLOW ADN PASSOVER – conquer and overwhelm and cross over. EDOM – Esau, Jacob’s brother who was Jewish. MOAB & AMMON – The descendants of Lot’s daughters who were not Jewish. VERSE 44 UTTERLY TO MAKE AWAY MANY – annihilate, destroy and kill many. VERSE 45 – THE TABERNACLES of his palace – his homes. PALACE – the place where emperors reside. BETWEEN THE SEAS – between the Mediteranean Sea and The Dead Sea. In the middle of Israel. Then he will come to his end by the hand of GOD, and none will help him. Thus, when the Gospel of Truth is preached in all the world and the land of Israel is divided, the Palestinians possessing part of the glorious land of Israel, know that the end is around the corner and Messiah’s return is near. Be ready. The global movement to divide The Land is happening today. Be ready. Lead a GODly life according to GOD’s Word, according to His Torah, His Law, His Commandments and the Prophets and The Writings. Be ready. So we will stop here and next week we’ll continue on GOD’s description of His Millennial Kingdom and how glorious it will be. GOD has a formula to enter into The Kingdom of Heaven. That formula is not what man teaches but what GOD teaches. And it’s this. Believe that Yeshua died for your sins to be your Atonement. And obey GOD’s Law of Moses. Obeying GOD’s Law is proof you love Messiah and The Father. Then The LORD GOD will give you His Holy Spirit. This teaching is from John 14.21-24. And that is GOD’S teaching and formula to enter the Kingdom of Heaven. Shalom and Good Morning. Our Message and Teaching this morning will be about GOD testing our faith, the Angel of The LORD, and the blessings you receive from The LORD GOD because you obey His Voice. Judaism calls this event The Akedah, where GOD commands Abraham to offer up his only son Isaac for a sacrifice. Akedah means binding, the binding of Isaac on the altar. This story or this event is part of the Jewish daily worship service because of Abraham’s love for GOD and his unconditional obedience to The LORD. Jewish tradition regards The Akedah, the binding of Isaac on the altar for a sacrifice as the tenth and final test of Abraham, and Abraham’s greatest test. Abraham, as you know, is the first Hebrew or Jewish person or the first Israelite. I call this event a test of obedience and a test of his faith, and it was an incredibly difficult test by The LORD. Almost impossible. But Abraham succeeded in passing it, and because of his obedience, The LORD GOD blessed Abraham and his Jewish descendants and all the nations. It is Messiah Yeshua Who is Jewish, Who is a descendant of Abraham in Whom all the nations of the earth are blessed. And GOD promises throughout Scripture that He will bless everyone, Jewish and non-Jewish people for living their lives according to the will of GOD by obeying His Commandments and The Law He gave to Moses. When The LORD tests us, that is, when He places us in a crisis that brings on agony and extreme suffering, even fear and worry, it may be hard to understand why, even though you might be leading a righteous life, doing the will of GOD. And when these crises come on any one of us, I always think of GOD’s teaching in Deuteronomy 8.2, where GOD tells us why, why He tests us. Because GOD wants to know what is in our heart. Will we obey His Commandments or not? The blessings and The Kingdom of Heaven are to those who believe in Yeshua and do the will of GOD. And the will of GOD is to obeying Him, doing His Commandments. And Peter teaches us that the heaviness of these trials, the sorrows involved in them is a testing of our faith. Our faith is our belief in GOD and Messiah, our belief that GOD’s Word and Law and Commandments are Truth. And our faith in GOD is our reliance on Him, trusting in GOD and Messiah for everything. And our faith is tested from time to time, and Abraham’s faith was tested more than any of us. So we are tested for at least 3 reasons. GOD wants to know what’s in our heart. Will we keep His Commandments or not? And He tests our faith, our belief in GOD and Messiah. Do we believe GOD’s Word and Commandments and Law are Truth? And do we do them? And do we rely on Him and trust in Him for all things? That’s the reason GOD puts us through trials for a season or for a time. Remember, GOD says He is always with you, and will deliver you. Thus He says, Fear not, for I am with you. GOD will never command us to sacrifice our children as He did Abraham, but He does command all mankind to obey Him, to obey His Commandments and His Torah, The Law of Moses, yet most people just say no. Thus the path to GOD and The Kingdom of Heaven is narrow and few find it. Why? Because most people refuse to obey GOD. Perhaps GOD has hidden the Truth from them. Perhaps He has kept the Truth a secret to most. Perhaps they don’t seek The Truth and therefore remain spiritually blind. LUKE 18.35-43 This is about a blind man asking Yeshua to open his eyes so he could see. Perhaps people must ask GOD for sight, spiritual sight, to know GOD, to know HIS Truth, His Word, His Law and His Commandments, in order to do GOD’s will. What does Messiah say? Ask and it shall be given to you. It’s apparent that very few ask GOD to show them The Truth, because so few know it, and so few find it, and so few enter The Kingdom of Heaven because so many reject GOD’s Truth. Here is The Truth of GOD explained by Paul in a few words. “Do we make void The Law through faith? GOD forbid. Yes, we establish The Law; that is, we live our lives as GOD teaches us how to live our lives in The Law of Moses. So, let’s look at Genesis 22 about the extraordinary faith and obedience of Abraham to GOD’s command. 22.1 After these things: the meeting of Abraham and Abimelech and his captain of the army and the things that took place. GOD tests men and women by adversity, that is difficulty and suffering in order to test our faith. Here is a statement by the Jewish sages regarding this verse. The word test comes from the Hebrew word nahsah, and nahsah comes from the Hebrew word nayse, meaning a banner that flies high above an army or ship. Hence, they say, the words that GOD tested Abraham would be rendered, and GOD elevated Abraham trial upon trial and greatness after greatness. I don’t read that in Scripture but it’s nice. Perhaps GOD does elevate us trial upon trial, and greatness after greatness when the trial is finished and we have obeyed GOD and kept His Commandments and Law. It’s possible. I am ready to do what You say, and I will obey what You command. The land of Moriah is in Jerusalem where the Temple Mount is, where the first and second Temples were built. 22.3 Can you imagine what took place when Abraham told his wife Sarah what GOD commanded him to do? Take your only son Isaac and offer him up for a sacrifice to The LORD GOD. I do not want to even imagine Sarah’s response. Are you crazy? Abraham, I’m sure, knew that GOD would not or could not kill Isaac, and he knew that if GOD did allow Isaac to be sacrificed, GOD would be obligated to raise him from the dead to fulfill His promise to Abraham, for in Isaac shall your seed be called. And this is proof of Abraham’s great faith in GOD, his obedience to The LORD GOD. Of course there is an appearance of similarity here of Isaac and Yeshua, GOD commanding Abraham to sacrifice his son, his only son whom he loves. But Isaac could never be our atonement for sin. Yeshua is our atonement. This was GOD’s command to test Abraham’s faith. Would he obey GOD or not? He obeyed GOD fully. 22.4 Another similarity. Yes, Messiah was raised on the 3rd day. Wednesday night was The Passover Seder, The Last Supper. He was killed on Thursday. One day and one night in the grave. Friday and Saturday He was in the grave, a total of 3 days and 3 nights in the grave. And early Sunday morning He raised from the dead. However, I think that Abraham’s trip by donkey from Beersheeba where he lived in southern Canaan, to the land of Moriah in Jerusalem about 45 miles away, took him 3 days. GENESIS 40.20-22 On the 3rd day after Joseph interpreted Pharoah’s dream, Pharoah freed his chief butler from prison and hung his chief baker from a tree. EXODUS 10.22 Moses stretched forth his hand toward Heaven, and there was thick darkness for 3 days in the land of Egypt. EXODUS 15.22 Moses brought Israel from The Red Sea and they went 3 days and found no water. And many more events took place on the 3rd day; including Abraham’s trip to Moriah. 22.5 Abraham and Isaac and his 2 servants returned to their home in Beersheeba, and Abraham was told his brother had a granddaughter Rebekkah, and we know in time, Isaac married her. And do you think Sarah was happy when she saw her son Isaac return? Try the word ecstatic. Maybe Sarah’s faith increased also. 22.6-8 Abraham knew GOD would provide a lamb for the scrifice. And I also think Abraham knew this was a trial of his faith. 22.9-12 Total and unconditional obedience to GOD is proof that we fear Him. And this was the time of truth, and this was the time of deliverance. Here GOD’s deliverance came at the very last minute, and often GOD rescues us at the last minute. EXODUS 14.10-17 GOD opened The Red Sea at the last minute. And GOD will save His people Israel at the last minute when He returns and destroys their enemies. 22.13-14 Yehhovah Yeereh-Jehovah will see, or The LORD sees. 22.15-17 The Angel of The LORD is GOD. In fact, The Angel of The LORD is Yeshua. VERSE 17 And your descendants shall possess the gate of his enemies, i.e., those that hate The Jewish People, the people of Israel. And that hatred is all over the world today. When Messiah returns, the world will belong to Him and His Saints, The Holy Ones, those who believe in Messiah and do the will of GOD. And they will possess and inherit the world, all the cities on earth. And GOD the Messiah will need people to rule those Kingdoms or Countries under Him and He will choose those from His Family of True Believers; A small one, A child of GOD who is least on the earth today, will become a strong nation governing that Kingdom for Messiah..
22.18 Nothing has changed. GOD still wants us to obey Him, and He always blesses us when we obey His Word. That’s His promise, yesterday, today and forever. ACTS 5.29 Men can be Bible teachers, scholars, pastors, rabbis, theologians, men, women, etc., who do not obey the LORD GOD..
– Faith is believing in GOD and Messiah. – Faith is believing that His Word, His Law, and His Commandments are Truth. – Faith is relying on GOD and trusting in Him for everything. – And faith is obeying GOD, and faith is obeying The Word of GOD, And The Law of Moses is The Word of GOD. – And faith is believing and knowing, being sure that GOD will deliver you from every single problem and every adversity, because like Abraham you love GOD and unconditionally you obey Him, every word He speaks. And for that He will bless you mightily. Maybe at the last minute, but be assured He will bless you for your obedience to Him, because He loves you. Shalom. This morning our message and teaching will be on 3 subjects. GOD’s Covenants, the witness that will be preached in all the world, and calling on The Name of The LORD, The Everlasting GOD. Our study verses are Genesis 21.22-34. Let’s talk about our witness for The LORD. A witness for The LORD GOD is one who declares that which is taught in The Bible by GOD, by Messiah Yeshua, The Prophets of GOD and The Apostles. MATTHEW 24.14 The witness that will be preached to all the world is The Gospel, the absolute truth about GOD and Messiah. And then Yeshua says, the end will come. The Gospel and the truth are not being taught today. This Gospel of The Kingdom is The Gospel of GOD. We all know what The Gospel is. The Gospel is the Good News, the message of Messiah and His teachings. Also The Gospel is the teachings of The Apostles which are the same teachings as GOD and Messiah. And The Gospel is also the story of Messiah’s life which concerns Salvation, the forgiveness of all our sins and eternal life in Heaven. And when that Gospel is witnessed to all the nations, Yeshua says, then shall the end come. Thus Messiah says, The Gospel will one day be preached in all the world for a witness, as evidence, and the reason why the end of this world will come. PSALM 40.8-10 If we include Messiah Yeshua in these verses, they describe The Gospel. PSALM 40.8 WILL – RAHTSONE – to do what pleases GOD, and what pleases GOD is doing His Law of Moses. PSALM 40.9 Righteousness – I have preached righteousness in the great congregation. The great congregation is the Jewish people; but The Bible is written to teach all peoples to learn and do what is taught. RIGHTEOUSNESS – Tsehdek – the right, righteous, what is right with GOD is His Law and doing it. PSALM 40.10 I have not hid Your righteousness, that is, I have not hid GOD’s Word, His Law and His Commandments. FAITHFULNESS – ehmoonah – GOD’s truth, and firmly trust in GOD. SALVATION – rescued, delivered from our sins and troubles and rewards us with eternal life in Heaven. And GOD’s lovingkindness and His Truth; His Word. ARE RIGHTEOUSNESS – right and lawful. Thus, The Gospel is to delight in doing GOD’s Law which is The Law of Moses which is fixed and established in Heaven forever. The Gospel is to preach righteousness, what is right with GOD, and what is right with GOD is His Law and Commandments. And to declare His faithfulness, GOD’s truth, His Word, and we should firmly trust in The LORD GOD. The Gospel is GOD’s Salvation. He always rescues us and delivers us from all our troubles, and rewards us with eternal life in Heaven. The Gospel is GOD’s lovingkindness and His truth, and the truth is His Word. And The Gospel is Yeshua. But the world doesn’t live that way, and that’s the reason why there are wars and terrorism and recessions and depressions, and floods and fires and oil spills and earthquakes. Because of the world’s defiance and disobedience against GOD, His Word and His Gospel. And for that reason, GOD will bring it to an end. However, that is good news for GOD’s family because then we will all be taken up to live with Him forever in The Millennium and eternity in Heaven. MATTHEW 24.13 Meaning, we must continue believing in Yeshua, trusting Him and obeying The LORD GOD til the end. There are at least, 2 Scripture verses in this Chapter where Messiah warns us to beware, watch out, be very careful. MATTHEW 24.1-4 TAKE HEED – beware, watch out, be careful. DECEIVE – to cause one to roam from the truth and safety of GOD, to be led away from the truth and safety of GOD, as satan deceived Adam and Eve to disobey GOD and he led them to their death. Watch out. Don’t let anyone deceive you into believing it’s okay NOT to obey GOD’s Law of Moses. It must be obeyed, by all. False prophets are religious imposters who teach untruths about GOD and Messiah Yeshua. False prophets teach erroneous doctrine about GOD and Messiah that is false, incorrect. And untrue. Messiah says, watch out, beware, be very careful because when listening to these false prophets, they will do their very best to deceive you and lead you away from GOD and from Messiah. Watch out. So, a witness for The LORD our GOD and The Gospel is to tell the truth from what is taught in The Bible. Tell others about Yeshua, and the delight in doing GOD’s Law of Moses. Tell others about GOD’s righteousness, His faithfulness, His lovingkindness and His truth. Tell others that GOD’s gift of eternal life is to those who receive and obey The Gospel. That is The Gospel and that is what we should be witnessing to others, even to ourselves. Next subject is GOD’s Covenant. GENESIS 21.27 Rather than speaking about the covenant between Abimelech who was the king of Gerar, a place located in southern Canaan not far from Gaza, and Abraham whom GOD said, he will make of him a great nation, which is today Israel, whom GOD blessed and made his name great, and he would be a blessing and all the families of the earth are blessed in Abraham, well, not the covenant between them; but GOD’s Covenant. COVENANT – BEHREET – GOD’s Covenant is His Promise, His Word and His Law of Moses and GOD’s Covenant is forever. 1 CHRONICLES 16.15 – COMMANDED – stahvah – appointed, established, to decree; i.e. having the force of law. GOD’s Covenant is His Word which has the force of law and is established forever, meaning, GOD’s Covenants never change and never end. 1 CHRONICLES 16.16 – GOD’s Covenant is His oath, His Word which He is bound to. 1 CHRONICLES 16.17 – CONFIRMED – means GOD’s Covenant is or are appointed and established as law and His Covenant never changes or ends. So, let’s look at some of GOD’s wonderful Covenants that hopefully will edify you and encourage you. RIGHTEOUSNESS’ SAKE – doing right, doing what pleases GOD, that is doing His Law of Moses and His Commandments, and believing in Yeshua. 5.12 REJOICE – be glad, happy for great is your reward in Heaven. 3.16 – fearing The LORD is proof you obey Him. 3.l7 – A book of remembrance is The Book of Life. JEWELS – GOD’s special treasure. GOD will spare us from the great tribulation. NAHUM 1.7 – STRONGHOLD – a defense, a rock of strength. WALK HUMBLY – Submit and be obedient to GOD. GENESIS 12.3 GOD will bless those who bless you, etc. These are just a few of GOD’s Promises to you, to those who walk humbly with their GOD, submitting and being obedient to Him, to The GOD of Abraham, Isaac and Jacob. Finally, calling on The Name of The LORD, The Everlasting GOD. GENESIS 21.33 – A GROVE – is a tamarisk tree with long feathery branches, that furnishes shade from the sun. CALLED – KAHRAH – to call out to GOD by Name; i.e. Yeshua, LORD GOD ALMIGHTY, etc., even cry to Him. 1 SAMUEL 12.22 – FORSAKE – not leave you, not abandon you. He will always stay with you. PSALM 18.30 – GOD will always protect you. BUCKLER – shield, protector, defense. GOD’s Covenant which is His Promise, His Word and His Law of Moses, and our witness of The Gospel, the truth of Messiah from The Word of GOD, and our calling on The Name of The LORD, The everlasting GOD, are all rewarded with mighty and wonderful blessings, because we love our Messiah Yeshua, and we walk in The Law of The LORD GOD of Creation. His Word is settled in Heaven. It is fixed and established forever. It never changes and it never ends. And as Messiah says in Matthew 5.12, “Rejoice and be exceeding glad, for great is your reward in Heaven”. Shalom, our message this morning will be about Ishmael and some of GOD’s wonderful promises to the righteous, and to those who fear GOD. The Scripture verses are from Genesis 21.8-21. 21.9 mocking – Hebrew stahkhak = laughing at Isaac, poking fun at him. The Rabbis say Isaac was about 2 years old and Ishmael was 16. Shall not be heir with Isaac, i.e., Ishmael will not be an equal heir with Isaac. Ishmael will not inherit the promises GOD made to Abraham that will pass on to Isaac. GREAT – Hebrew – GAH DOLE – great, mighty, high, noble. noble = distinguished, famous, dignity, excellence. Webster’s describes noble as a hereditary class, ONE THAT INHERITS. Abraham and his descendants the Jewish people will become a great nation, that inherits. What will this great nation Israel inherit? 2. Another inheritance the great nation Israel has received from GOD is The Messiah Who blesses all the families of the earth. People from every nation and language will be saved and become heirs of GOD who inherit all things because of their belief in Messiah and have overcome. They have followed GOD and obeyed His Law of Moses and His Commandments. What does the Believer in Messiah inherit since he or she is an heir of GOD through Messiah? GENESIS 15.1, GENESIS 17.7-8, DEUTERONOMY 4.20 – to be his very own. GOD will bless those who bless you and curse him who curses you. Thus the Believer in Messiah inherits all the great promises of GOD He has given to His great nation Israel the Jewish people. 21.12 1. Listen to Sarah and do what she says. Your descendants, Abraham, the Jewish people whom GOD will make His Chosen People, whom GOD will make a people of inheritance to be His very own, to be His witnesses to testify to the world all that I will tell them about Almighty GOD, they, the Jewish people will come from you and Isaac. Not from Ishmael. In Isaac shall your seed be called. Messiah shall come from your seed, The Jewish People. 21.13 Also the son of Hagar will I make a nation because he is your seed. GENESIS 25.12-18 Nations came from Ishmael’s 12 sons. GENESIS 28.9 Esau married a daughter of Ishmael. Arabs trace their ancestry to Ishmael but not all Arabs descend from Ishmael. Many descend from Ham, Cush, and Shem. There were many Arabs before GOD called Abraham and before Ishmael was born. And yes, many Arabs descend from Ishmael. Also, Islam considers Ishmael to be a prophet. 21.14-15 Some Jewish commentators ask the question, Why did Abraham give Hagar and the child so little? How far did Abraham expect them to travel before the food and water ran out? Did Abraham not realize, they comment, that with giving them so little, Abraham was putting them in danger? The promises GOD made to Abraham, He fulfilled, except those that would come after his death, i.e., the Land of Israel, Messiah, Millennium, Heaven. So Abraham had no problem believing and knowing that GOD would provide and care for Hagar and Ishmael. GOD BLESSED Abraham as He promised. GOD promised Abraham and Sarah a son. Isaac was born, 25 years after the promise. GOD promised Abraham that He was his GOD, and GOD to all his descendants forever. And Abraham’s descendants are GOD’s People, forever. GOD promised Abraham He would save the righteous from the destruction of Sodom and Gomorrah. He saved his nephew Lot and his family. GOD saved his wife Sarah from 2 immoral and greedy kings. GOD blessed those who blessed Abraham and cursed those who cursed him. So Abraham had no problem believing GOD would protect Hagar and Ishmael. And Abraham probably told Hagar that GOD would protect and care for them and He did. 21.16-21 Paran, Verse 21, is South toward the Sinai Peninsul which is Egypt. Today, there are some 1.1 billion Moslems of which many descend from Ishmael. Proof that GOD keeps His promises. GOD promises a good life and eternal life, and good health to those who obey Him. GOD blesses those who obey Him, and gives wisdom to those who follow His instruction. FAVOR – Hebrew Rahstone = DELIGHT, GOD will delight in us. GOD promises eternal life to the righteous. We will never die if we obey Him, GOD promises. GOD promises that the desire of the righteous will be granted, and the righteous live forever if we obey GOD. GOD promises He will deliver the righteous out of all trouble. GOD promises that the house of the upright will flourish. GOD promises strong confidence to those who fear GOD; and their Children, including their Grandchildren will always be protected by GOD. Wisdom, GOD promises us, comes from fearing GOD and doing what He commands. And before honor, is humility. Humility – being made low and humble, not proud or arrogant. Then GOD promises honor to those who fear GOD. Honor includes many things; distinction, recognition, respect, a good name, standing and stature, rewards, again, to those who fear GOD. In a few words, GOD always does what He promises, always. And the fear of The LORD, that is fearing GOD and doing what He commands us to do, is wisdom and blessings. And after humility is honor. That is GOD’s promise. In Messianic Judaism, we believe that each Festival of The LORD found in Leviticus 23 of which The LORD GOD says, even these are My Feasts, each one has a prophetic fulfillment in Messiah Yeshua. So, this morning I would like to review the 7 Festivals of The LORD GOD and their prophetic fulfillments. Some have their fulfillment in end-times prophecy. THE 1ST FESTIVAL of The LORD is the 7th Day Sabbath which of course is Saturday. The Sabbath is prophetically fulfilled in the 1,000 year Millennium in Jerusalem and all Israel in eternal peace, joy, rest and holy time spent with The LORD GOD of Israel. Jewish tradition says, the world shall last 6,000 years and then the end will come. The first 2,000 years were void and spiritually empty without Torah, The Law of Moses. The second 2,000 years with Torah, The Law of Moses. And the third 2,000 years with Messiah. Perhaps a Messianic Jew wrote this tradition. And then they say, the end will come. Perhaps they are correct. We take it a step further. We say the 7th 1,000 year period will have its prophetic fulfillment in the 7th day Sabbath which will be the 1,000 year Millennium where there will be no more sin or death, no curse, no more fears or sorrow, no pain or crying, no sickness, but only peace and joy forever with The LORD GOD Messiah Yeshua. And without any interruption of troubles because there will be no troubles in The Millennium; only peace and joy. That is the prophetic fulfillment of Shabbat, the 7th Day Sabbath, 1,000 years of peace, joy and holiness with The LORD our GOD. THE SECOND FESTIVAL of The LORD is Passover, and Passover had its prophetic fulfillment in the death, burial and resurrection of The LORD, Messiah Yeshua. THE THIRD FESTIVAL of The LORD is Shavuot or Pentecost. And its prophetic fulfillment took place on The Pentecost 10 days after Messiah ascended into Heaven when GOD gave His Holy Spirit to a large number of religious Jewish people who were in Jerusalem to observe Pentecost, and they came from every nation in the world. And some 3,000 Jewish people were saved and they followed the doctrine of the Apostles. The doctrine of the Apostles is this: Yeshua is The Messiah. His atoning death was for the forgiveness of our sins, and follow and obey Torah, The Law of Moses. And of course, be baptized. So, Pentecost is fulfilled in the giving of The Holy Spirit to some 3,000 Jewish people. – Messiah will return when all the Synagogues in the world are blowing shofars on that future Rosh Ha Shannah. – The resurrection will take place. The resurrection includes those who are alive in Messiah at His coming. Our old body will die and GOD will transform it into a spiritual body like His. – Also, GOD will destroy the world on that future Rosh Ha Shannah when Messiah returns. Why will The LORD destroy the world? GOD tells us in Isaiah 24.5-6. Because the people of the earth have transgressed GOD’s Law of Moses, changed His Law, and broken His everlasting Covenant which is His Word and Law of Moses. Therefore, The LORD says, the curse has devoured the earth and they that dwell in it are desolate: therefore, He says, the inhabitants of the earth are burned and few men left. Also on that future Rosh Ha Shannah, GOD will end the Great Tribuation. He will bind and lock up satan in his prison for 1,000 years. And GOD will then bring many unsaved Jewish people back to the land of Israel and they will enter into The Millennium. And He will save them a little later. Isaiah 35.10 says, “and the ransomed of The LORD shall return and come to Zion with songs of everlasting joy on their heads. They shall obtain joy and gladness and sorrow and sighing shall flee away”. The prophetic fulfillment for Rosh Ha Shannah is The LORD’s Return, and so much more. THE FIFTH FESTIVAL OF THE LORD is Yom Kippur, The Day of Atonement, 10 days after Rosh Ha Shannah. And the prophetic fulfillment in The Day of Atonement, which will take place 10 days after The LORD’s Return is this. Messiah will give Atonement and Salvation to those unsaved Jewish people whom The LORD GOD brings back to the land of Israel when they enter into The Millennium. Zechariah 12.10 reads, “They will look upon Me Whom they have pierced and they shall mourn for Him as one mourns for his only son, and GOD will pour upon them the spirit of grace and supplication which is The Holy Spirit. Thus, the prophetic fulfillment for The Day of Atonement is Atonement and Salvation for the many unsaved Jewish people whom GOD will bring into The Millennium, and He will save them. THE SIXTH FESTIVAL of the LORD is Sukkot, The Feast of Tabernacles. And the prophetic fulfillment in Tabernacles has many wonderful and spectacular events, and sets the tone of The Millennium in Israel. Peace will be forever without interruption. We will rejoice forever in that which GOD has created. Jerusalem will be a rejoicing and her people a joy, and The LORD will rejoice in Jerusalem and joy in His people. And the voice of weeping will not be heard in her nor the voice of crying. The LORD GOD will marry us at the Marriage Supper of The Lamb. GOD will be our GOD, and we His people. Israel will flourish and we will never see evil anymore. The LORD will be in the midst of us. He is mighty, He will rejoice over us with joy. He will rest in His love over us and He will joy over us in singing. And He will sing to us. He will make us a name and a praise among all people of the earth when He brings us into The Kingdom, The 1,000 year Millennium, even before our eyes. Thus the prophetic fulfillment for Tabernacles is peace and joy forever in The Millennium and The Marriage Supper of The Lamb will take place on that Sukkot, The Feast of Tabernacles 15 days after Messiah’s return. AND THE SEVENTH FESTIVAL of The LORD is today, the 8th Day of Tabernacles. And the prophetic fulfillment in the 8th Day of Tabernacles is what we all look forward to, Heaven. The family of GOD will move their residence from The Millennium on earth in Israel to Heaven. The Holy City New Jerusalem will come down from GOD out of Heaven. And there we will live with our GOD and Messiah forever and ever. – GOD will cause this earth to vanish from sight. – He will judge the ungodly, those not found in The Book of Life. – GOD will release satan for a short time from his prison where he was bound. – And then we will spend eternity in Heaven with GOD our Messiah forever and forever. -Forgiveness of our sins. Believe in Yeshua The New Covenant Who forgives our sins. -Follow the Apostles doctrine which is to believe in The Messiah, obey The Law of Moses and be baptized. -Then you will remain in The Book of Life. To overcome, one cannot be like Adam and Eve who obeyed satan and disobeyed GOD. To overcome means obeying GOD, His Word, His Law of Moses and His Commandments. To those who overcome, Messiah teaches, to those who have received Messiah, and lead their lives according to GOD’s Commandments and His Law of Moses, GOD will give to eat of the hidden manna and will give us a white stone with our new name written in it when we are in Heaven. The hidden manna, I believe, is the food we will eat in heaven, unlike the food here on earth. To those who overcome, Messiah teaches, GOD will make him or her a pillar in the Temple of GOD and you will be a permanent resident of Heaven forever. HIDDEN MANNA – perhaps the food of angels we will eat in Heaven. Messiah also teaches, he or she that overcomes will sit with Him in His throne in Heaven. OVERCOME – is the obedience to GOD which satan took away in the Garden of Eden. PILLAR – one who supports GOD and His Word and is responsible to GOD. GOD’S TEMPLE – in Heaven is The LORD GOD Almighty and The Messiah Yeshua are the Temple in Heaven. And the overcomer will remain forever in Heaven. And in Heaven we will be living with an innumerable company of GOD’s angels. And, finally, a glimpse into Heaven, the prophetic fulfillment of the 8th Day of Tabernacles where our home will be forever. FORMER – The things of the past, the evil on this earth. GOD will do away with all the evil and iniquity, all the bad stuff, all of it. And make all things NEW! That is the prophetic fulfillment of the 8th Day of Tabernacles. Our life in Heaven, where there are no tears or death, neither sorrow nor crying, or pain or sickness, no stress or grief or anxiety; for the former things are passed away, and GOD will make all things new. Only peace and joy will be our home. So he who has an ear to hear, let him hear. To him that overcomes will enter into Heaven. The one who overcomes believes in Messiah Yeshua, has had their sins forgiven by Messiah’s atoning, sacrificial death, and overcomes sin by obeying GOD; doing His Commandments and Law of Moses. That is how we overcome.